“With 2.5x more power in every drop, Mr. Clean Liquid Muscle penetrates dirt and lifts it away easier than ever before, meaning you’ll need to spend less time cleaning your home this weekend and more time enjoying some free time within it! You can learn more about the Mr. Clean Liquid Muscle cleaner in Miss Frugal Mommy’s review! Now for the exciting part! 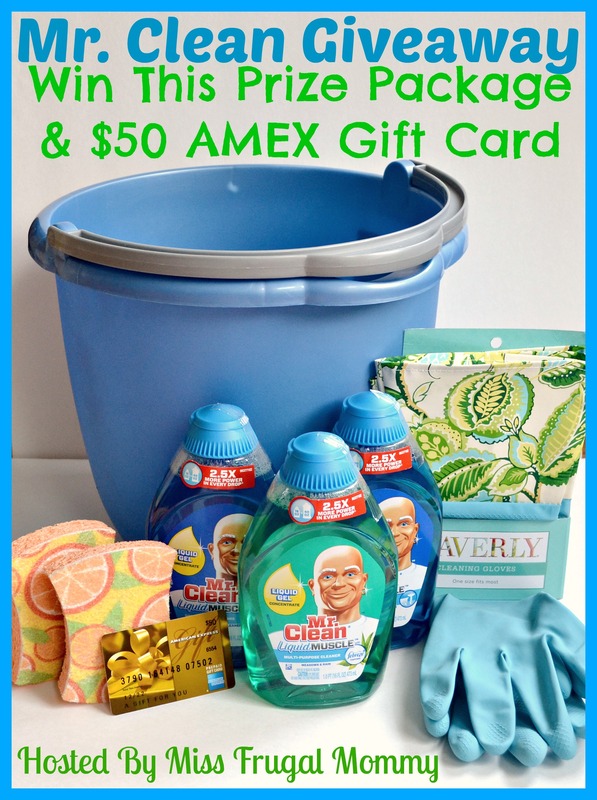 One lucky fan is going to win Mr. Clean prize package and a $50 AMEX card. This giveaway is open to US residents 18 and older. Enter to win in the giveaway tools below, all entries will be verified, one entrant per household or you will immediately be disqualified. Winner will be contacted via email and has 48 hours to respond before a new winner is chosen. Good Luck!!! Previous PostMaidenform Customer Satisfaction ProgramNext PostPattern LA Giveaway!!! !